Hundreds of Wrexham Glyndwr University students have graduated today in the first day of 2018 ceremonies at the institution. The students, from Education, Humanities, Sport Science, Business, Animal & Plant Biology and Psychology gained their qualifications in the first two of five ceremonies this week. 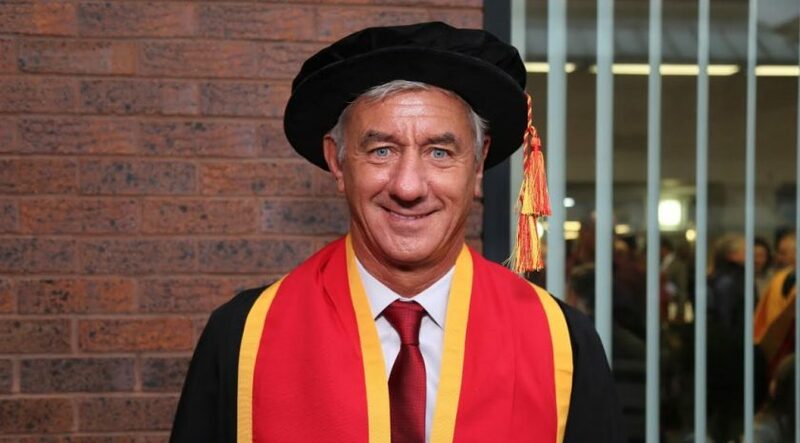 Fellowships were awarded to Stifyn Parri for services to performing arts, Hywel Wyn Edwards for services to the Welsh language and culture and Ian Rush MBE for services to football at today’s ceremonies. Wrexham Glyndwr University Vice-Chancellor, Maria Hinfelaar said: “Everyone graduating this year part of a historical milestone for us because this year we celebrate our tenth anniversary since gaining university status. This makes the 2018 graduating cohort a vintage year and I’m delighted to be able to shake everyone’s hand and congratulate them. “Gaining a University degree is one of the highest personal achievements: a test of stamina, commitment, intellectual rigour and ability. Born and raised in the local village of Rhosllanerchrugog, Entrepreneur, actor and entertainer, Stifyn Parri has over 35 years’ experience in the creative industries. He works as a creative producer, presenter, consultant and mentor, through the medium of both the Welsh and English languages. He set up MR PRODUCER in 2001 and has produced some of Wales’ most prominent live events such as the Opening Weekend of Wales Millennium Centre for BBC Wales, the ‘Welcome 2 Wales’ Ryder Cup Opening Concert at the Millennium Stadium for SKY 1 and Sky Arts; and the 50th Anniversary gala of the Aberfan Disaster at WMC starring Michael Sheen, Bryn Terfel and Sian Phillips. As an actor he has starred as Marius in Les Miserables in London’s West End as well as TV roles notably as Christopher Duncan in Channel 4’s Brookside. Stifyn appeared in the headlines and on The 9 o’Clock News when his Brookside character, Christopher Duncan, was part of the first gay kiss to be broadcast on British television. 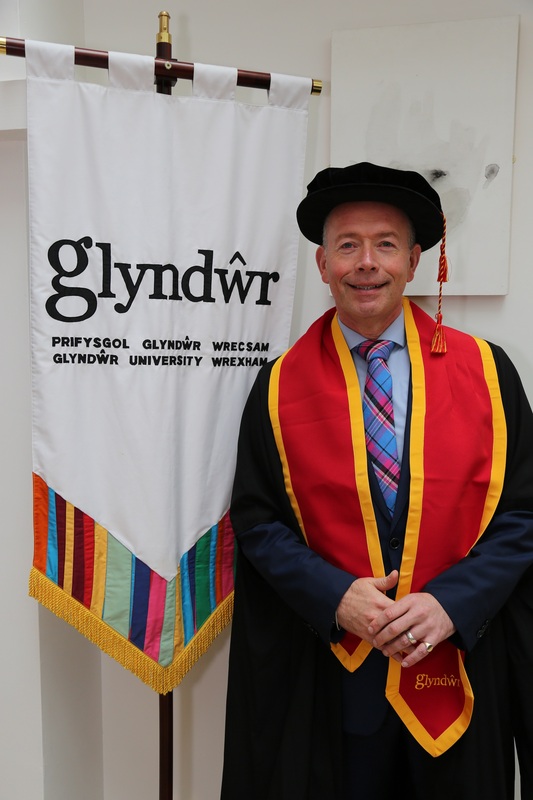 His work and support of the LGBT community has previously earned him a spot on the pinc list as one of the most influential LGBT people in Wales. He is also a game show presenter and chat show host; and Master of Ceremonies for corporate events, concerts and conferences. Stifyn also delivers seminars, workshops and private sessions to develop confidence in performance and interview/audition technique to all ages and abilities. He is a mentor and role model for young entrepreneurs, a creative consultant for various TV companies and a celebrity liaison manager. He is currently touring his One-Man Show, performing with theatre company Neotopia in the production of Tuck and he is also a judge and mentor searching for the Welsh representative to take part in the Junior Eurovison 2019 in Belarus. Stifyn is being honoured for his services to the performing arts. Hywel was born and bred in the Aberystwyth area. After attending the local primary school at Rhydypennau and then Ardwyn Grammar School, he spent three years in college at Bangor. In 1968 he was appointed a teacher at Ysgol Glanrafon in Mold, one of the first ever Welsh medium primary schools in Wales. As the number of children increased from around 100 to over 440, his status within the school changed and by 1993 when he left the education service, he was Deputy Headteacher. He was appointed the North Wales Organiser of the Royal National Eisteddfod of Wales but in no time at all was also responsible for the South Wales Eisteddfod, a post he retired from at the end of 2013. However he still volunteers at the NationaI Eisteddfod having lately been elected the Celtic Officer for the Gorsedd of Bards of the Isle of Britain. He also regularly assists at the Urdd National Eisteddfod and the Cerdd Dant annual festival. He is an avid traveller and made a promise to himself on retirement that he would try to travel somewhere every month meaning that he is not often at home in the village of Sychdyn near Mold. 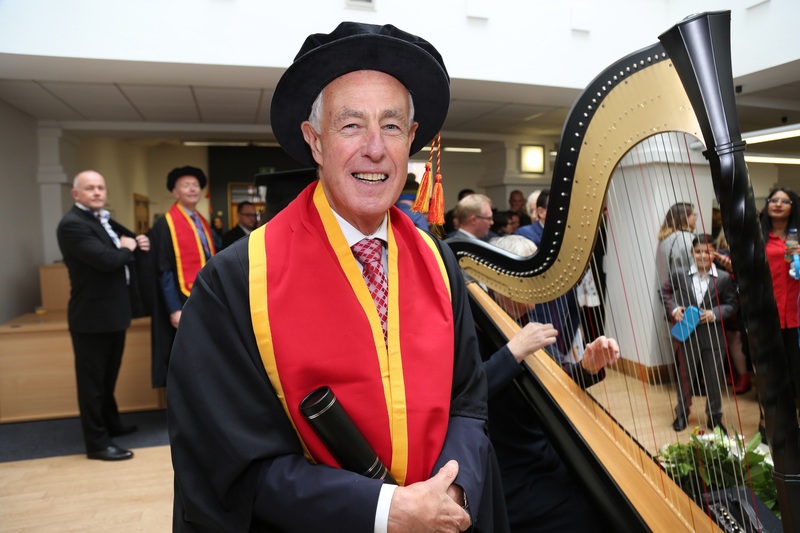 The Welsh language, the Welsh culture and education are very important to him and he firmly believes in going the extra mile to ensure success in all things, doing so thoroughly, meticulously and with reverence to others. By doing all the little things oneself and leading by example, others are prepared to follow and assist. Hywel is being honoured for his services to the Welsh language and culture. Ian Rush MBE, was born in St Asaph, North Wales. He is one of the most prolific goal scorers in football history and is regarded as Liverpool FC’s greatest ever player. At a national level Ian made 73 appearances for Wales, scoring 28 goals for his country and holding the record for ‘all-time top goal scorer’ until March 2018. For his beloved Liverpool FC, Ian’s goal tally is even more astonishing. His 346 goals in 660 appearances is a long-standing Anfield record that will take some beating. Even as a teenager, Ian was breaking records. The £300,000 Liverpool paid to take him from Chester City in 1980 was a British transfer record for a teenager. Although he has been retired for nearly 20 years, Ian still holds the goal records for five FA Cup finals and twenty five Merseyside derbies. He has also played for Juventus, Leeds United, Newcastle United, Sheffield United, Wrexham and Sydney Olympic in a career that has spanned four decades; and he was the first British player to win Europe’s Golden Boot, after his astonishing 47-goal season in 1983-84. However, it is in his roles as FAW National Team Ambassador and the FAW Trust’s Elite Performance Director that Ian continues to have a significant and influential impact on grassroots football in Wales, coaching and inspiring young players such as Ben Woodburn, Harry Wilson and Aaron Ramsey. He is also responsible for developing young footballers further afield as an ambassador for the Liverpool FC International Academy. Ian is being honoured for his services to football.